A Boeing 747-400 passenger jet can hold 416 passengers. This blog was viewed about 9,900 times since Oct 17th in 2010. That’s about 24 full 747s. Since the launch of this blog on Oct 17th, 2010, there were 129 new posts, not bad for the first 3 months! There were 121 pictures uploaded, taking up a total of 78mb. The busiest day of the year was December 14th with 330 views. 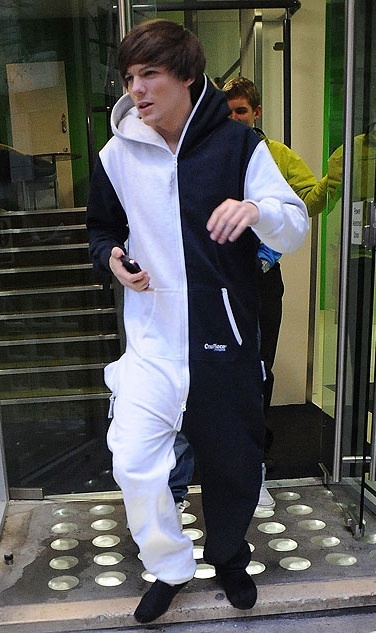 The most popular post that day was One Direction’s Louis Tomlinson in his OnePiece. The top referring sites in 2010 were facebook.com, twitter.com, en.wordpress.com, youtube.com, and familyaffairsandothermatters.com. Some visitors came searching, mostly for one direction x factor, niall horan, louis tomlinson, louis tomlinson girlfriend, and one direction niall. Next postZipped up OnePiece guys – it’s Nate and Johnny!